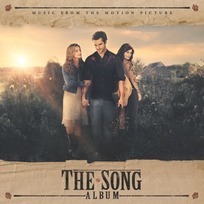 September 30, 2014 (Nashville, Tenn.)— Fans of the movie THE SONG are showing their support for the release of the soundtrack through an exclusive NoiseTrade promotion that has received over 7,000 downloads. Last weekend, Samuel Goldwyn Films and City On a Hill Studios released the Americana Music-driven drama in theaters nationwide—today, the critically acclaimed soundtrack can be found on shelves and digital platforms. In conjunction with the theatrical release, THE SONG ALBUM has received praise from critics and fans alike. The inspiration for the soundtrack and film was derived from the ancient biblical text that inspired The Byrds’ No. 1 hit “Turn! Turn! Turn!” The Byrds’ Roger McGuinn contributed to a rearrangement of his timeless classic for the soundtrack, which is sung by bluegrass award winning artist Ricky Skaggs and Americana Vocalist of the Year Emmylou Harris. Additionally, THE SONG ALBUM features 11 original American Roots songs, also inspired by the life and writings of Solomon, and four classic hits with new musical arrangements. Celebrated American Roots music artists Marco Giovino, Byron House, Andy Leftwich and Colby Kilby collaborated in performing the original songs, and the stars of the movie Alan Powell and Caitlin Nicol-Thomas provide vocals and additional instrumental accompaniment. Critically acclaimed rock band NEEDTOBREATHE contributed a song to the project rounding out the American Roots sound. See full track listing below. THE SONG follows aspiring singer-songwriter Jed King (Alan Powell of Anthem Lights) as he struggles to catch a break and escape the long shadow of his father, a country music legend. After reluctantly accepting a gig at a local vineyard harvest festival, Jed is love-struck by the vineyard owner’s daughter, Rose (Ali Faulkner, THE TWILIGHT SAGA: BREAKING DAWN – PART 1), and a romance quickly blooms. Soon after their wedding, Jed writes Rose “The Song,” which becomes a breakout hit. Thrust into a life of stardom and a world of temptation in the form of fellow performer Shelby Bale (Caitlin Nicol-Thomas, “Nashville,” ABC TV), Jed’s life and marriage begin to fall apart, proving even the wisest of men is a fool for love. For more information on THE SONG ALBUM, please visit www.thesongalbum.com.